Where the past is always in full bloom. Rich in history with a wealth of things to do. Come springtime, this Tulip-rich neighborhood attracts a lot of attention. Imagine strolls past beautifully preserved historic homes and down tree-lined boulevards on your way to Kollen Park, the Farmers Markets or on your way to our amazing Downtown. Here, a nice walk is always a charming trip. With sidewalks throughout this neighborhood, you’re only ever a ten-minute stroll from Downtown, neighborhood parks and yearly events like Tulip Time, Tulipanes Latino Art & Film Festival, Art in the Park. You’re also conveniently right next to Washington Square, and just a short drive from Holland Hospital and the Aquatic Center. Plus, you’re centrally located so you can get anywhere quickly. If you don’t feel like driving, ride the MAX Bus, there’s probably a stop right where you need one. 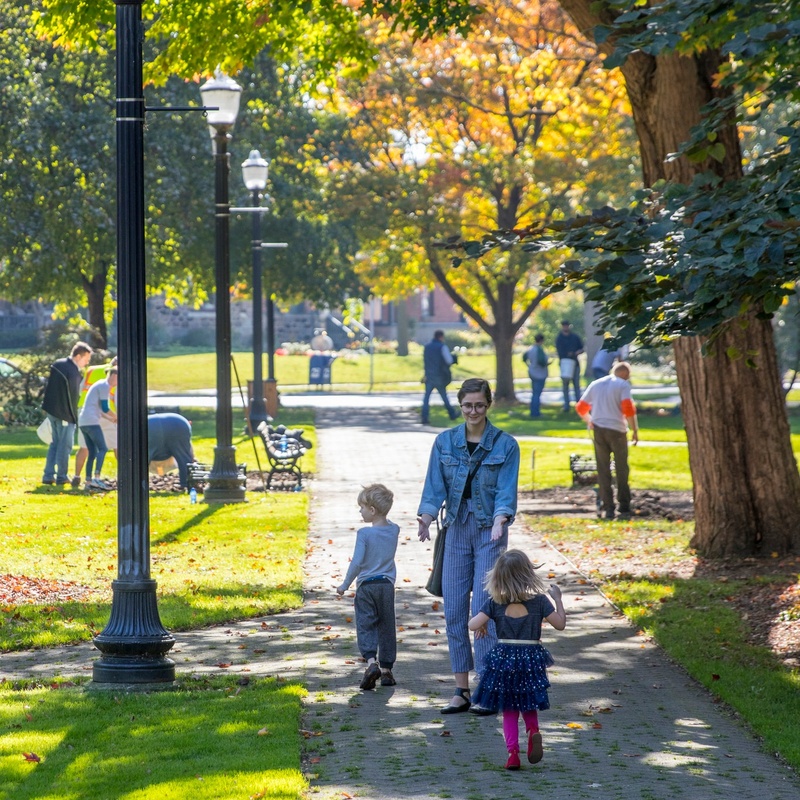 With homes built well before the turn-of-the-last-century, the Historic District is passionate about preserving the charm and integrity of the impressive area. With groups working together and the active interests of its residents, it’s a historic neighborhood with a mighty bright future. Boatwerks Waterfront Restaurant hits the spot for waterside dining. Great food. Gorgeous views. Open 7 days a week, including Sunday Brunch. Need more dining options? Just take a short walk to Washington Square or Downtown for close to 30 more choices in restaurants. Kollen Park is one of the nation’s great waterside grass parks. Home to fireworks, festivals, summer concerts, fishing and, of course, our awesome Heinz Boardwalk that gives you the perfect waterside place to stroll, hang out and simply love life. Cool old theatre. Cool new library. What once was only a cinema, is now home to concerts, comedy, dinner theatre, dance parties, festivals and more. Everyone in Holland knows the Park Theatre, and if you choose to live in the Historic District, it’s practically in your backyard. If reading is your cup of tea, you just found another reason to move into the Historic District. The Herrick District Library is home to hundreds of thousands of books, movies, music and magazines. It’s also the place to join a tech lunch or writers group. Or you can sign up for summer reading programs, attend story time, even get into board games, or just sit around and enjoy getting lost in a good book. This culturally rich neighborhood is wonderfully central to all areas in Holland. The neighborhood's historic homes were built in the early 20th Century, with some constructed even earlier, providing the timeless setting and character. It's a neighborly neighborhood, with block parties, ice cream socials and snowman making contests. 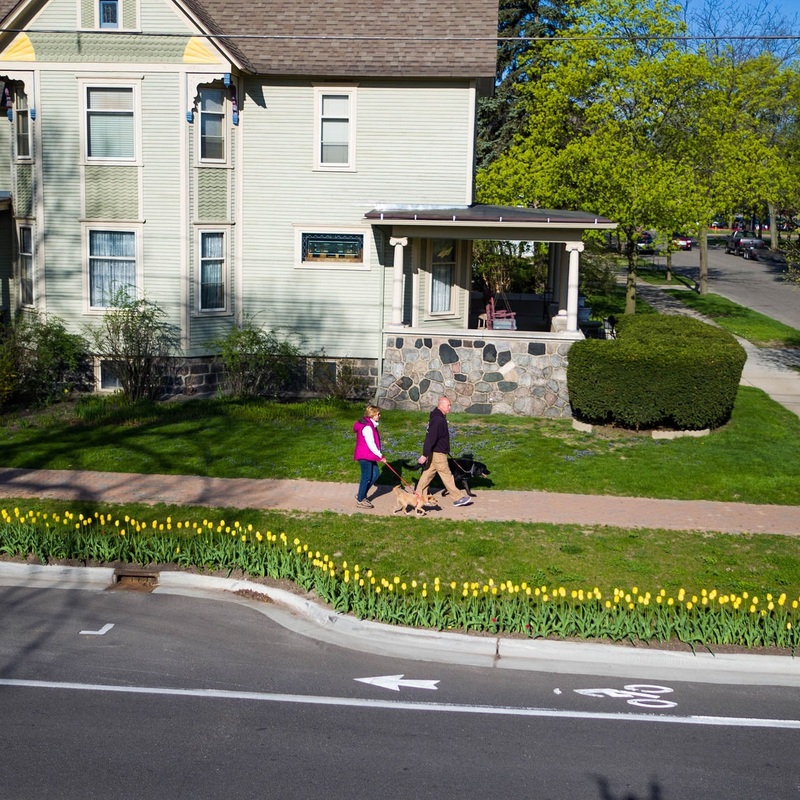 You can easily walk, bike or take the bus to the rest of Holland, Michigan.